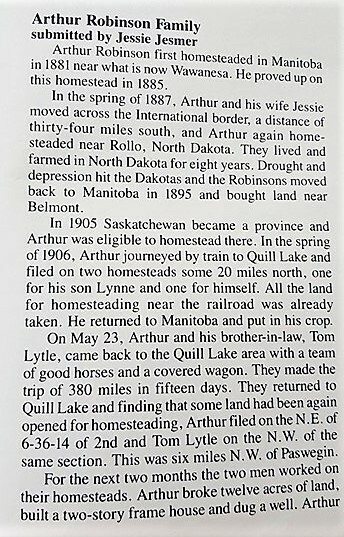 Arthur and Jessie were pioneers in the Paswegin area in 1906. 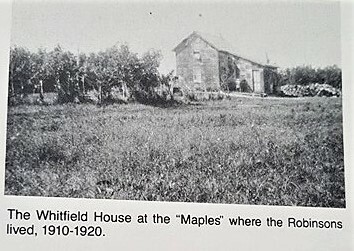 They had built a homestead about 6 miles NW from Paswegin. 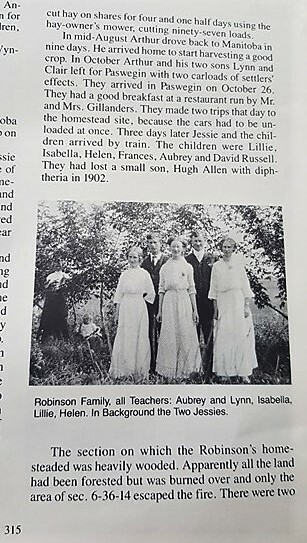 They had nine kids, one of which (Hugh Allen) died of diphtheria in 1902. 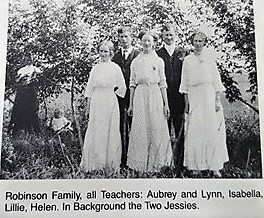 They were the grandparents of Jessie (Johnson) Jesmer, the wife of Carl Jesmer. 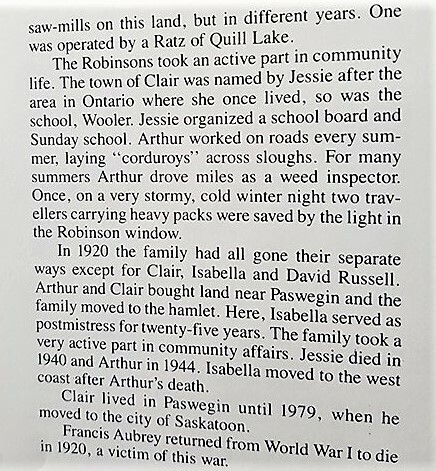 Jessie had once lived in Clair Ontario and Wooler Ontario. 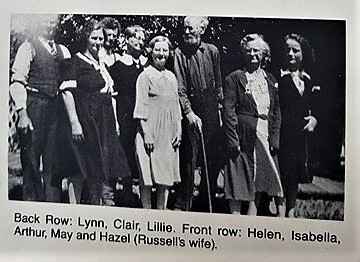 The brother of Jessie Robinson was Tom Lytle. 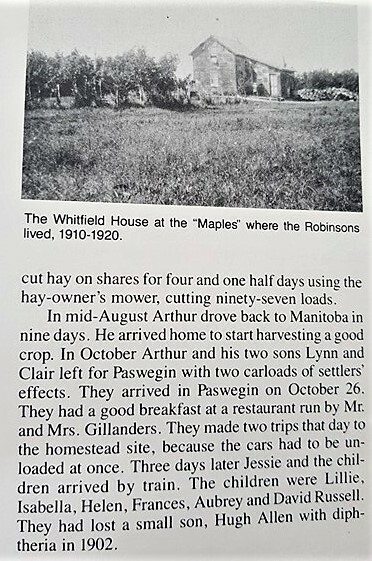 He and Arthur helped each other to establish their homesteads in the Paswegin area. 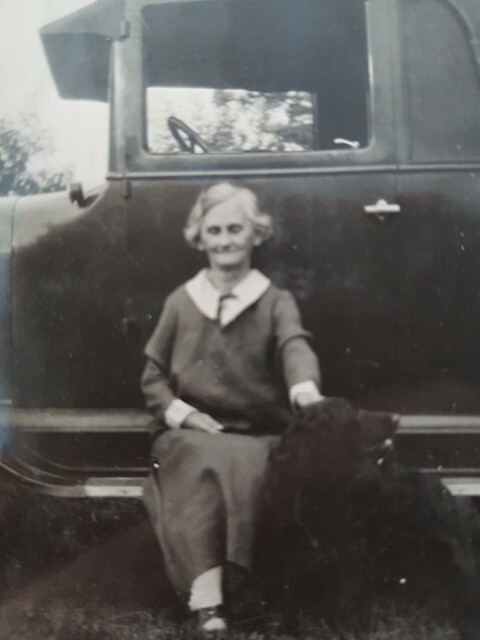 Could this be a picture of Jessie Robinson?